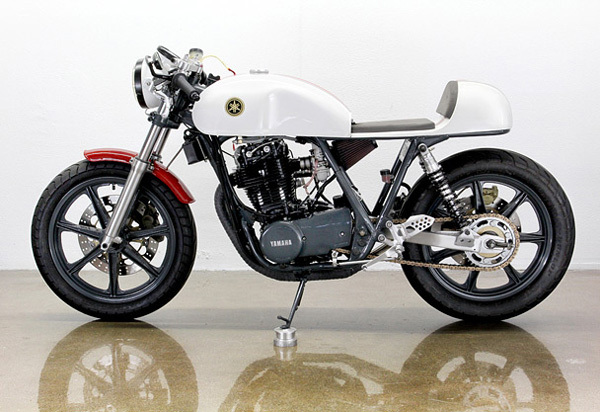 The brain child of designer Jay LaRossa, the Solus cafe racer is based on a 1978 Yamaha SR500 stripped to its cleanest essence. 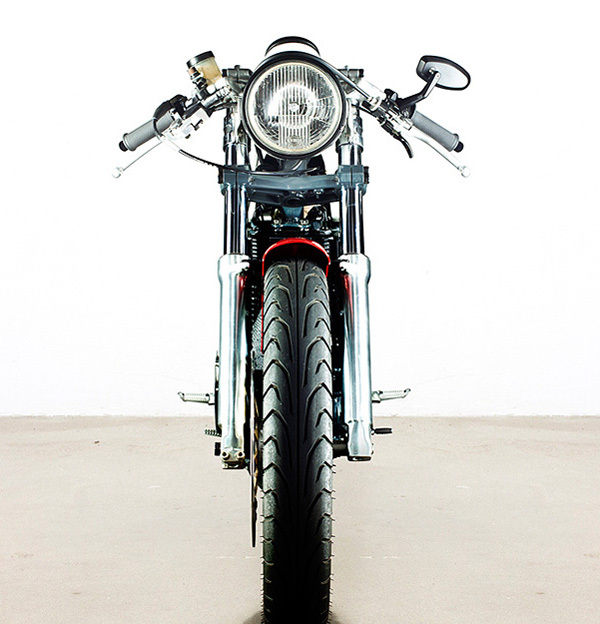 The Long Beach, CA-based Lossa Engineering specializes in cafe racers based on Italian, Japanese and British bikes from the ’60s and ’70s. Following old school tradition, LaRossa strips the junk and makes them fast, just like the original racers of yore. 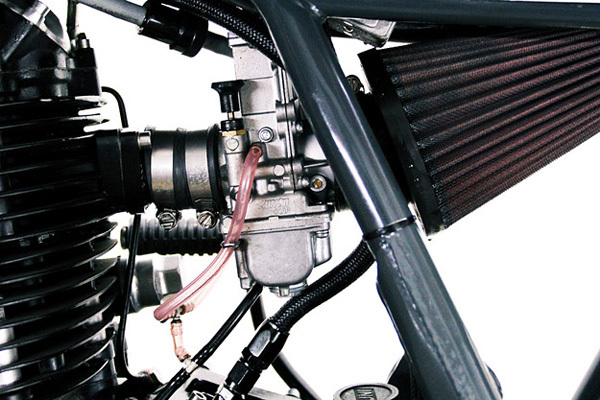 In developing the SR500, the motor was bored out and fitted with an oversize White Brothers piston and hotter cam, along with heavy-duty valve springs and a ported head. 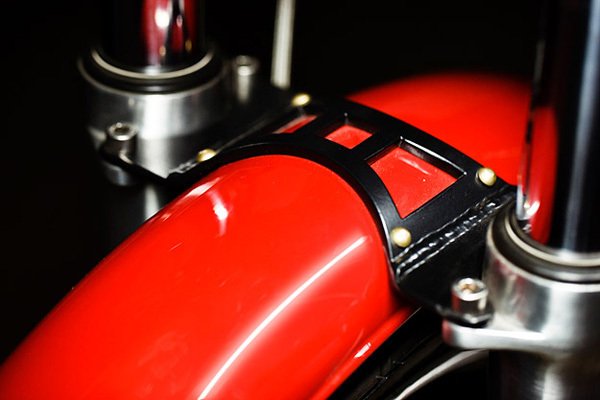 With a Mikuni flatslide, power is boosted and helped by custom intake and exhaust piping. 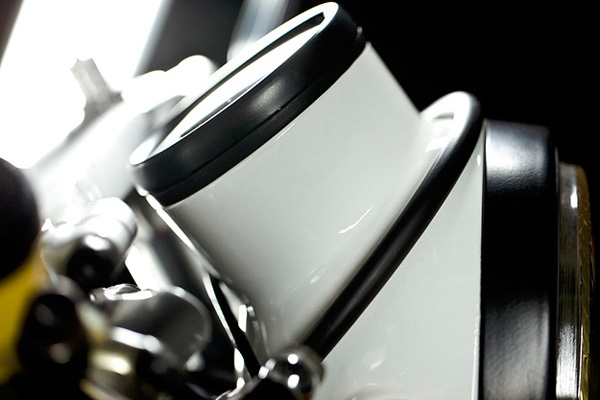 Handling for the bike is aided with the help of GSX-R front end and Works shocks, and Brembo brakes front and rear slow the faster than necessary bike to a quick halt. Wheels are from an RD400, the front fender is a bobbed Honda and the tank is a Benelli. Taking all of this into account shows us just how minimal this bike really is as every part serves its purpose, leaving nothing for superficial reasons. 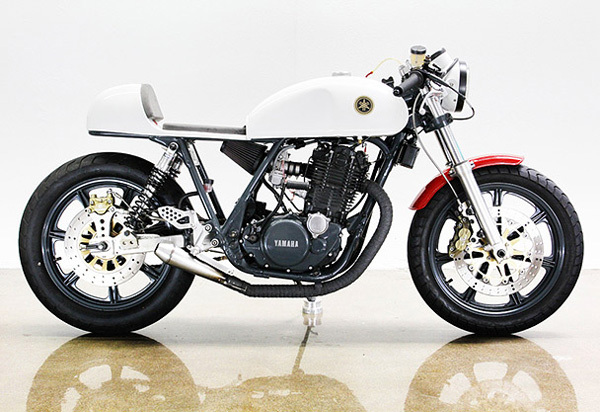 For more photos of the 1978 Yamaha SR 500, check out the . Lossa Engineering’s short film “Solus” from Jay Lossa on Vimeo.